Elsworth Quilt Cover in Mirage Blue. Our Elsworth design represents a visual memory of our in-house artists feelings when surrounded by the space and light of Far North Queensland. Hand-painted in our Sheridan Sydney Design Studio, this artwork depicts where the sky meets the land, where summer is all year round and the light is forever changing. 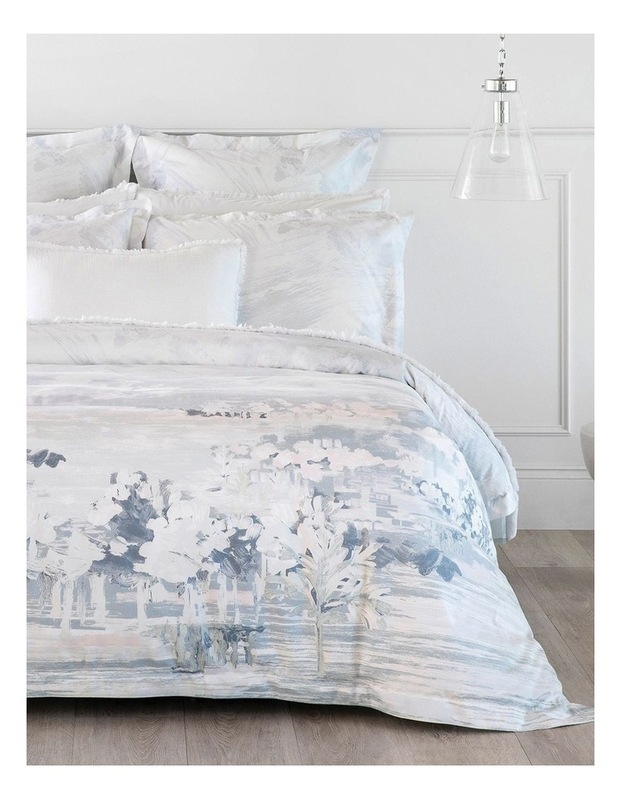 Printed as a full panel on 100% cotton sateen, and finished with a tailored edge, our Elsworth design brings a beautiful artwork to your bedroom.